You must have the game World of Warcraft in order to validate one day card. Got the code in 10 sec. Bought it 3 times. Was satisfied 4 times. You instantly get the prepaid game time code. It's really easy to activate it. Basically everything is great about this. Only bad thing is that it's not always in stock. very good game indeed , i spend lmost 9 years playing it , i would recommend it to anyone , and this website is always fast and secure when it comes to deliveries . trust me , i bought over 10 items and everything always arrives in time. I can not even say about this game. I've been a player for years, but I've been trying for the first time on the official server and I can not say anything. As long as you do not try this game on an official server, you can not say it played. 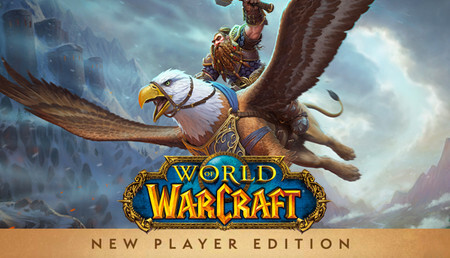 Fast payment and works good, never tought i should play the real WoW, since i saw this price for it i started to play this game and paying for it. If this wasnt here i was never going to play this game ! Código para jugar 60 días al mejor MMORPG lanzado hasta día de hoy, con 14 años a sus espaldas y siempre mejorando en todos los sentidos. Un videojuego que ha marcado la vida de muchas personas desde su aparición. gametime for wow. 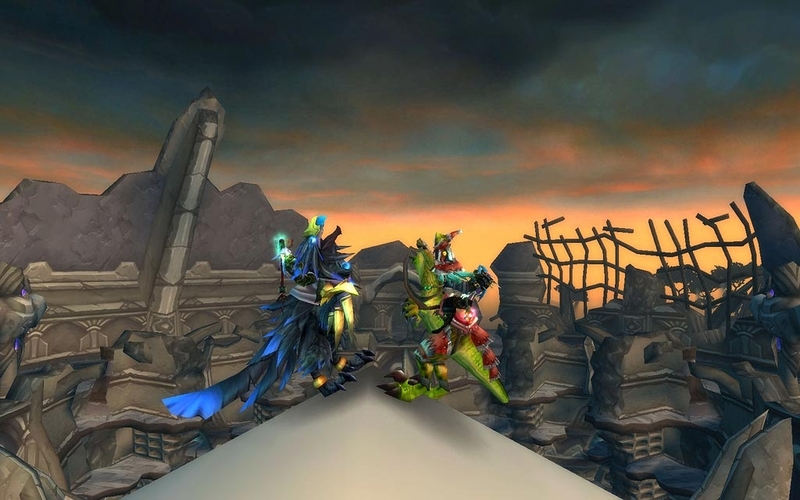 Endless grind for reputation... with patch 8.0 comming next week, time to finish the open points from legion expansion, level some alts, do tower, and be ready to go all out in the BoA! Tout simplement le meilleur MMORPG existant. 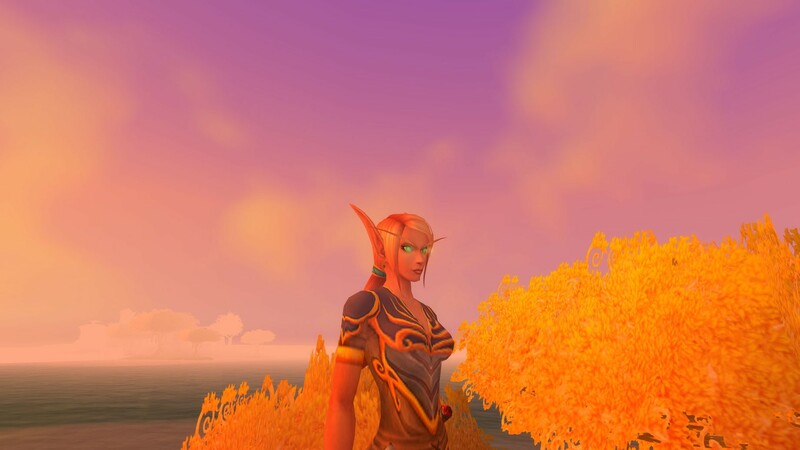 Des heures passées à explorer Azeroth et ses multiples continents tous plus beaux les uns que les autres. L'extension Legion est assurément dans les meilleures fournies par les développeurs! Le jeu est très simple à prendre en main et dispose de plusieurs mécaniques afin de rapidement se (re)mettre à niveau par rapports aux autres joueurs. aspect social laissant des fois a désirer mais la ce sont surtout les joueur qui lui donne cette mauvaise image ! Is best game for playing with friends and talking on the voice chat. Some thing are ussles on the past time is so sad. Best service ever! Instant-Gaming are so much better than the other code sites around. Instant-gaming for life! 10/10 score from me. I have mostly been buying blizzard products and everytime it work!!! What can I say, my favourite game out there. I will always come back to it, and still love it. Started playing during Warlord of Draenor, but played on pirate servers back in the Wrath days. Some times I take a break but I always come back to the game, and it isn't just nostalgia. Would give it a higher grade, but got one code with 4 written over "7". Good thing i was testing each nubmer to see which one would fit. But cheapest for sure. Got 3 codes, 3 worked, including that mentioned one above. Maybe it was scratched and someone tried to see which one it is. The best MMORPG i have ever played. I started it when i was 12 and now, 10 years later i enjoy it as much as before. The community is great, the gameplay is not so simple but not so hard, and the story is excellent. The best story ever! The best MMORPG i have ever played. I started it when i was 16 and now, 7 years later i enjoy it as much as before. The community is great, the gameplay is not so simple but not so hard, and the story is excellent. The best fantasy story i have ever experianced. This is very good discount for this game and i am really glad i can buy it safe and i am fully satisfied with this product... 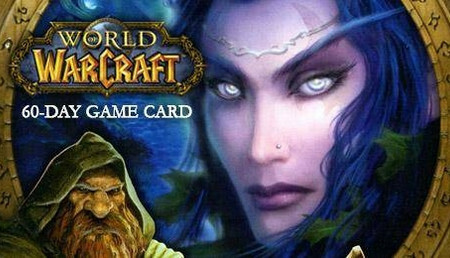 I would like to recommend to everyone who is playing World of Warcraft to buy game card from this site!!! It worked well after i sent ID picture for verification hope they wont request it in future. I'm looking forward to it ;). its the easiest and safest way to purchase from this site. As for the game its perfect! Exciting quests in an all new area and a new powerful class(demon hunters). Nice dungeons and raids and also the pvp system is unbelievable!!!! Todo perfecto, además en esta página siempre tienen el mejor precio y yo busco en casi todos los sitios. Seguid asi! Everything perfect and this site always do the best deal. (I do compare with others). 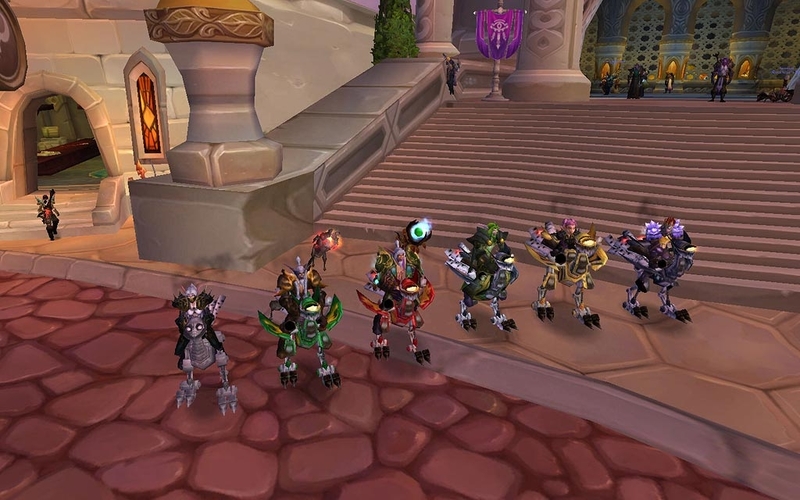 World of Warcraft (WoW) is a massively multiplayer online role-playing game (MMORPG).WoW offers a rich class system of characters, allowing gamers to play as druids, priests, rogues, paladins, and other fantasy-related classes. Guilds often achieve notoriety for their ability to finish certain quests or defeat specific monsters quickly, and, in this way, a hierarchy system is established in the game.Players have contributed to the WoW community by creating artwork inspired by the game, writing fan fiction, and spending innumerable hours online inhabiting the game’s virtual world. 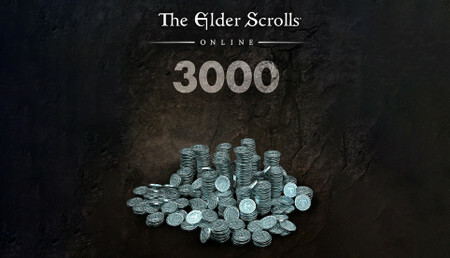 Some view this intense investment in the game as an addiction. 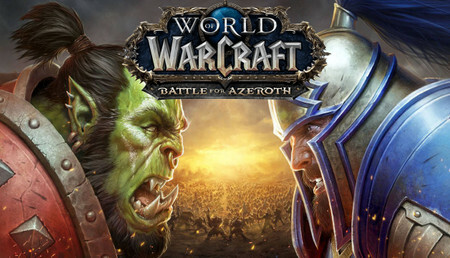 The popularity of the game led to a cinematic adaptation, Warcraft (2016), which expounded upon the mythology of Azeroth. Great game, great community, always loads of new things to find, locations to go to, monsters to defeat, and other players to destroy in the most balanced pvp MMO around! This has been my favourite game since I started playing on pc back in the days of Burning Crusade WoW and never stops pleasing me! Some server dead but prideful Blizzard won't do the obvious and just spent development time cross realming low pop realms. The new expansion of the Blizzard MMORPG has a lot to offer: a great storyline, the new garrison and the boasted "back to the roots". If you're looking for a reason to return to Azeroth, well, you've found it. Best game ever. I really like that game because you are in so much big world and you can do everything you want. Complete quests, complete dungs, just experience and a lot more. If you got money buy it NOW! Played for a few years and I am happy to buy my first 60 day pre-paid card on IG. WoW is a favourite game. This is the best mass multiplayer online role playing game. 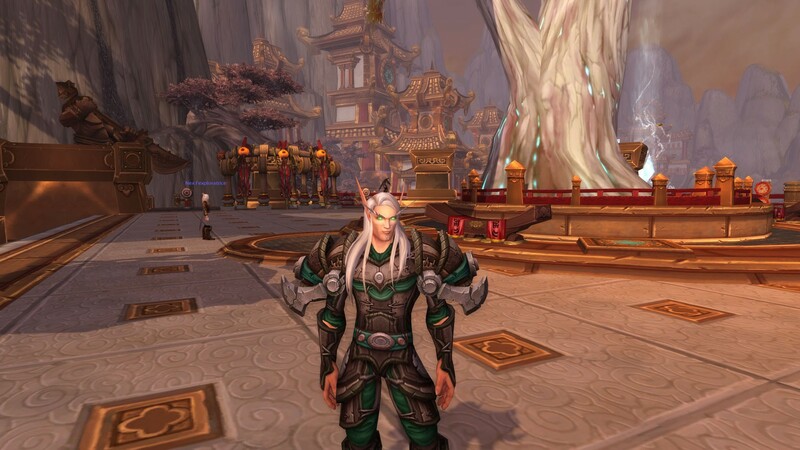 Played some other MMORPGs but world of Warcraft stays strong some 9+ years later. we'll see how things are in the next expansion. This game is so sick. If you start to play it, you will never stop...This was my first time i tryed official servers and I was very pleasured from this experience that i will never return to any free server!! Review by perfect and instant ! Es un buen juego para los amantes del rol y aunque con los años va perdiendo jugadores siempre mantiene su esencia revolucionaria que le hizo ser uno de los mejores juegos multijugador de esta época y seguramente de la siguiente. Game is decent, though its getting old and starts lacking content after a while. At first when you get a new xpack everything is fine, but after a while youll find yourself doing nothing except farming mounts..
well its a key so cant really test it hehe :) but yeah its great and a good cheap site fast service and kind and helpfull service from live support or staff not that you half to use those features often as everything usally just run's smoothly ^^ Merry Christmas. perfect service you purchase the key after the order finishes the key opens up right on Instant - Gameing WebSite. The Best MMO game in the world. Lots of possible in the game, be it PvP, PvE, lore or anything else. I hope they will long to develop the game. In the meantime, a good game for everyone! 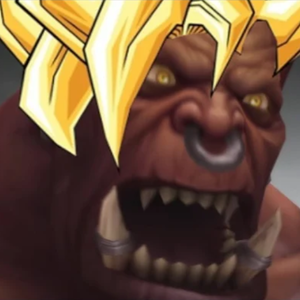 For Azeroth!! The community is wonderful and the game is so great to play, especially with friends. Been playing this with my dad and some friends since 2005 and would never look back! 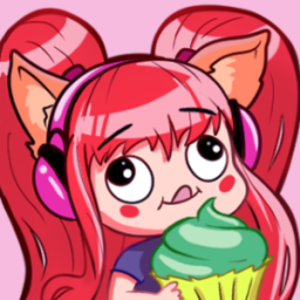 new content all the time! The game experience is as good as always and i am happy with it. The game was great in the very begging of World Of Wacraft maybe just the Cata expansion was not that good because of many reasons but i think Legion will be the best expansion ever!! Not the best option for gametime, but one easily accessible if your country suffers capital controls.Not the best option for gametime, but one easily accessible if your country suffers capital controls. WoW is the best mmorpg i ever played and trust me i have played alot of mmo's. from f2p to gw2 and wildstar, but wow has this special feeling, this adictiveness, good lore and a great atmosphere. WOW isn't dead, if you haven't played the game ever, definitly try it if you like rpg's and mmo's, it's a good game. Fast and easy i recomend this site as a trusted one. Buy confirm and play or use. Looking forward to use the services of this site more times in the future. For now il play what i have . Thanks once more. 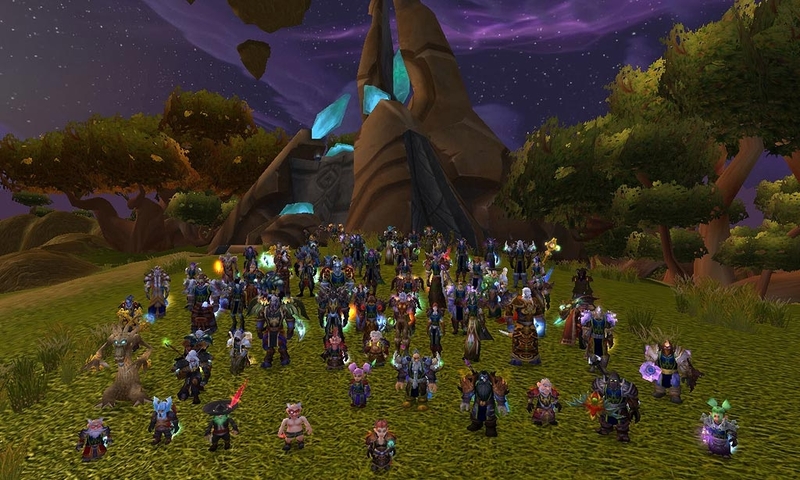 its WoW best MMORPG Grew up with it and will probably die with it ! U can't miss out on this game if u didn't yet play it u should just give it a try. start with a battle chest and if it fits you you can go all the way just like me. Also with just the battle chest a massive world with allot of adventures opens up just try it !